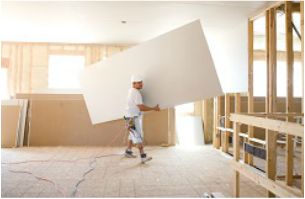 With over 25 years of experience Fillo Drywall can take care of all your drywall needs! Based in Woodstock, GA We are experts in our Industry working with custom home builders throughout the North Metro Atlanta Area. We pride ourselves on our quality and attentive service and being the best Drywall contractor around. We understand the need for timeliness and this sets us apart from other drywall contractors in a market where time is of the essence and builders and contractors have a schedule to keep. You have a schedule to keep and we would like to be your partners in success!!! We are your best option for a drywall company in Woodstock, Canton, Alpharetta, Milton, Kennesaw and all of North Metro Atlanta!! Give us a call, you will see we are your best option. We offer Turnkey Drywall installations. You don't have to worry about anything but managing the overall project we will take care of the drywall! We are able to start a project within days and have it ready for the next stage faster than our competitors.